It is always much more fun to explore a country when you know the best way to go about it. Because of the varying conditions between places and destinations, there is not a single way that would fit all. Discovering Sri Lanka can be done quite simply actually. The best weapon of course to take is an attitude that combines common sense, safety awareness, and unlimited amount of adventurism. Most foreign travelers to Sri Lanka will have to come in by air. This is the most convenient way of doing it. Those coming from neighboring countries may do so by land. Once in Sri Lanka, there are several options available to explore the country. Domestic flights within Sri Lanka are a bit limited. This is because of the scarcity of connecting services offered by its lone international airport. The national airline though offers scenic arranged trips between various lakes. This is a good option if such discovery interests you. Trains are admittedly slow but it offers greater chance of securing a seat while traveling. Never the less, it is a great way to cross the country at a very reasonable cost. Besides, it is a more relaxing way of seeing the beauty of Sri Lanka. Buses travel much faster than trains but they can be very crowded for traveling comfort. There are however several options when taking the bus route. Some buses are air-conditioned while others are not. There are designated bus stations in most major cities which also display English translations of destinations. It would be highly advisable to confirm the succeeding departure details of the trip. Car hire services are offered both for self-hire and chauffeur driven options. The latter option may be more advantageous to site-seeing since your attention need not captured by driving alone. It is likewise necessary to clarify driving license requirements if a traveler wishes to drive around on his or her own. Car hire rates are generally reasonable. 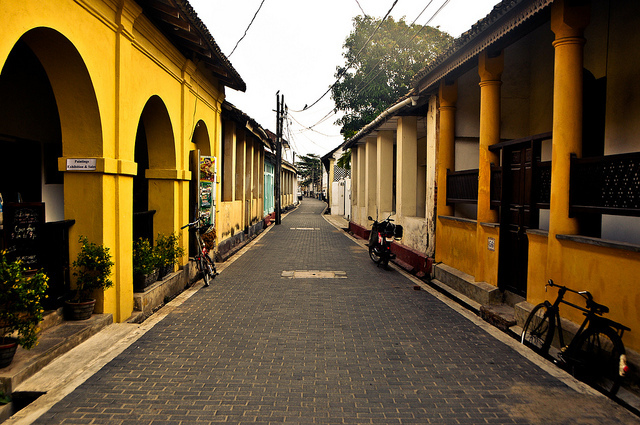 If you wish to explore historic areas around Sri Lanka, the most leisurely way is through cycling. It provides just the right phasing for exploration. Organized bike tours are also available. Three-wheelers, which are similar to tuk-tuks, bajajs or auto-rickshaws used in other Asian countries provide an authentic feel to exploring Sri Lanka. Tourists may need to practice their negotiating skills to get the best rate though. Metered three-wheelers are getting more common now.